“The Belt and Road” academic discussion meeting between Philippines and China - Jafron News - Jafron Biomedical Co., Ltd. Follow up the "The Belt and Road" construction advocated by President Xi jinping, uphold the principles of consultation, joint contribution and sharing. Jafran organize the academic discussion meeting between Philippines Kidney transplant research center in and Guangdong provincial people’s hospital. 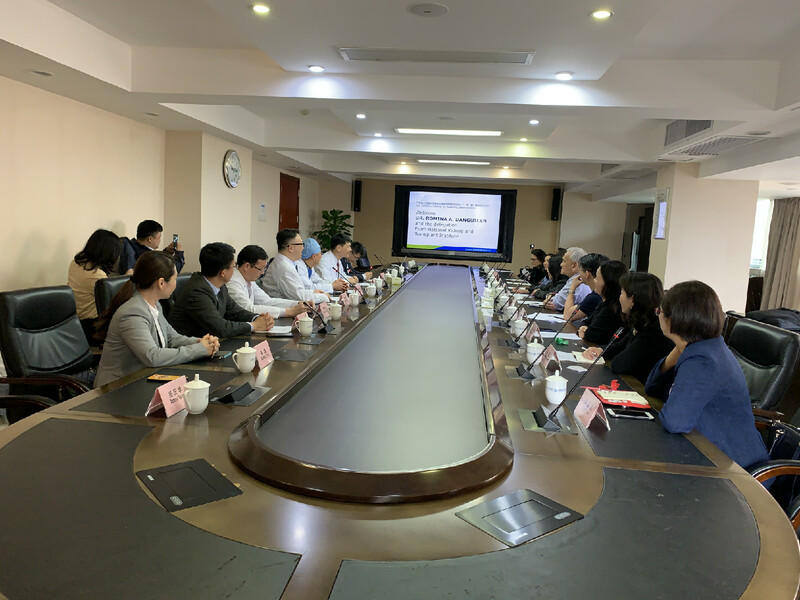 In the meeting, the participants exchanged views on the development and clinical practice of cardiac surgery and ECMO technology, the clinical research results of HA380 hemoperfusion cartridge, and the application and development of hemoperfusion technology in cardiac surgery and ECMO technology in China. Presented the current situation and development of some new techniques in cardiac surgery. Jafron is China's leading hemoperfusion technology enterprise, has been committed to the HA series resin hemoperfusion product research and development and promotion. At present, the Jafron’s products have been used in nephrology, infection, emergency , ICU and cardiac surgery departments. And promoted to more than 30 countries around the world. Jafron’s HA380 has obvious adsorption in medium and macro molecular inflammatory factors in particular treatment, has been recognized and applied by experts in the field of cardiac and critical care at home and abroad.